Made with fresh sweet potatoes, lots of butter, cream and eggs. 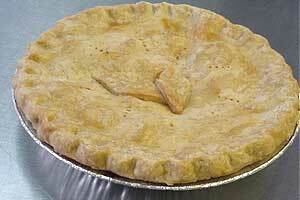 A great creamy texture and homemade crust. Flavors: Original & Lemon Sweet Potato. Parolee's Pie Shell is the perfect canvass for your pastry masterpiece. 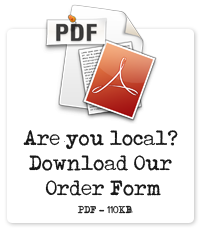 Our shells are made with all natural butter and the finest milled flour. 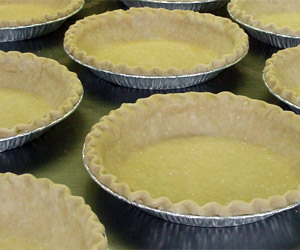 No matter what the filling, this pie crust is sure to please any dessert crowd! 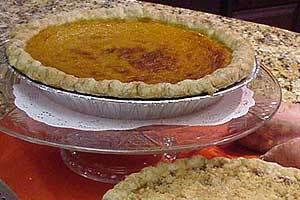 Everyone’s favorite during the holiday get together or enjoy anytime. 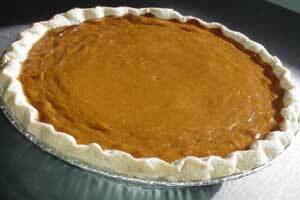 Hooray for the pumpkin pie! 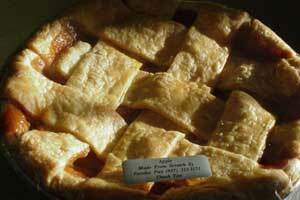 This all American pie is made with Ida red apples and has a woven lattice crust designed to allow all the natural juices to bubble through. Just the right balance of sweet and tangy, and full of plump red cherries. Why would George cut a cherry tree down? 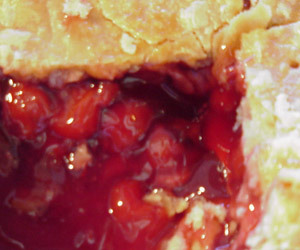 To pick cherries for a simply delicious Parolee Pie! 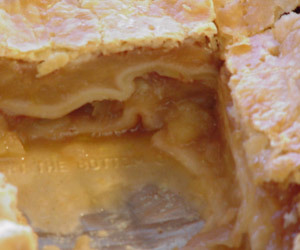 Made with juicy ripe yellow peaches nestled between our tender crusts. Heat it up, add a dollop of whipped cream and enjoy. The Deep Dish Kentucky Blackberry Cobbler is second to none in or out of the Derby… We have crowned it with our handmade flaky crust, layers of fresh plump blackberries, and real butter. Our daddy’s favorite. 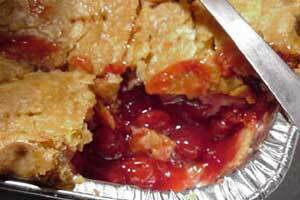 Deep Dish Kentucky Cherry Cobbler will always put a smile on your face. 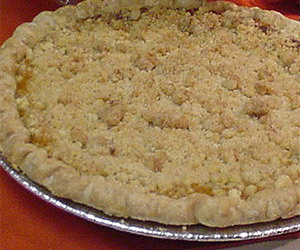 Not too tart but sweetened just right to ask for seconds. It kind of reminds me of those juicy cherries on the tree in our neighbor’s back yard we could never get enough of. You can almost smell the fresh baked aroma of our Ida Red Apples and cinnamon by just thinking about out Deep Dish Apple Cobbler. 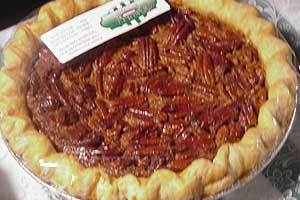 It is Aunt Wilma’s favorite with a piping hot cup of coffee. 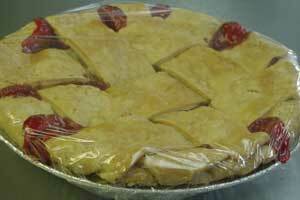 Our Deep Dish Peach Cobbler Is our Number One best seller. 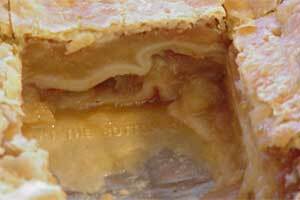 It is so good, that we needed to show the juicy, buttery, and peachy inside view. Our Kentucky Peach cobbler gets the "Gold" every time it is served! The Deep Dish Kentucky Blackberry Cobbler is second to none in or out of the Derby...We have crowned it with our hand made flaky crust, layers of fresh plumb blackberries, and real butter. Our daddy's favorite. 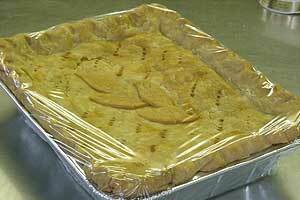 You can almost smell the fresh baked aroma of our Ida Red Apples and cinnamon just by thinking about our Deep Dish Apple Cobbler. 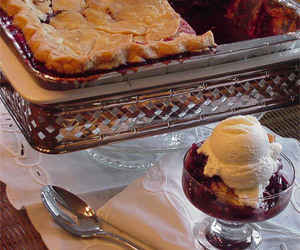 Served with vanilla bean ice cream, it's a delightful taste sensation! 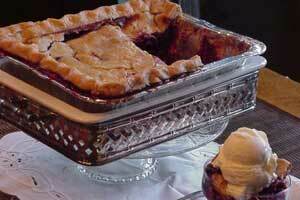 Deep Dish Kentucky Cherry Cobbler always puts a smile on your face. Not too tart and sweetened just right, like the fresh cherries on the tree in our neighbor's backyard we could never get enough of. Our Deep Dish Kentucky Peach Cobbler gets the "Gold" every time it is served. 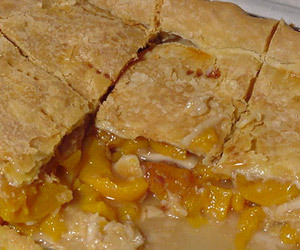 Made with juicy golden peaches, it is everyone's all time favorite cobbler!